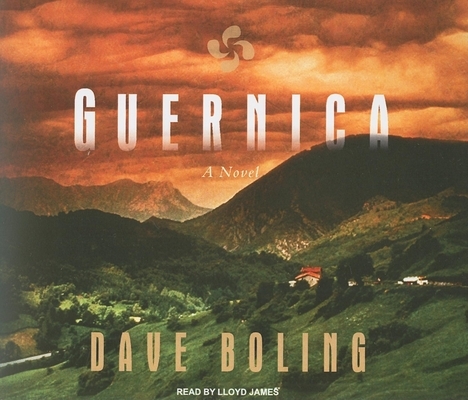 Calling to mind such timeless war-and-love classics as Corelli's Mandolin and The English Patient, Guernica is a transporting novel that thrums with the power of storytelling and is peopled with characters driven by grit and heart. In 1935, Miguel Navarro finds himself in conflict with the Spanish Civil Guard and flees the Basque fishing village of Lekeitio to make a new start in Guernica, the center of Basque culture and tradition. In the midst of this isolated bastion of democratic values, Miguel finds more than a new life-he finds someone to live for. Miren Ansotegui is a charismatic and graceful dancer who has her pick of the bachelors in Guernica, but she focuses only on the charming and mysterious Miguel. The two discover a love that war and tragedy cannot destroy. History and fiction merge seamlessly in this beautiful novel about the resilience of family, love, and tradition in the face of hardship. The bombing of Guernica was a devastating experiment in total warfare by the German Luftwaffe in the run-up to World War II. For the Basques, it was an attack on the soul of their ancient nation; for the world, it was an unprecedented crime against humanity. In his first novel, Boling reintroduces the event and paints his own picture of a people so strong, vibrant, and proud that they are willing to do whatever it takes to protect their values, their country, and their loved ones. Dave Boling is a veteran columnist for the "Tacoma News Tribune" and the author of "Tales from the Gonzaga Hardwood." Lloyd James has been narrating since 1996, has recorded over six hundred books in almost every genre, has earned six "AudioFile" Earphones Awards, and is a two-time nominee for the prestigious Audie Award.